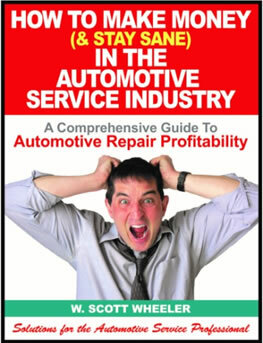 How to Make Money (& Stay Sane) in the Automotive Service Industry | Automotive Consultants Group, Inc.
Everyone talks about how much money you can make servicing today’s automobiles. They think it’s all about gross sales, when in fact, it is much more complex than that. This is a very comprehensive course designed to take into account literally everything. It begins with forming the company, and looks at pros and cons of various establishments. It then introduces Bob, a fictitious shop owner who is struggling with management of his shop. We look carefully at what he is currently doing and not doing. From there, we investigate what changes could be made to his operation and the anticipated improvements. It’s not about simply raising the labor rate! Then, we look at increasing productivity and efficiency. All of this is done mathematically. Bob needs to make serious and timely changes to his operation. We close by making sure Bob is compliance with all regulatory agencies. There are sample forms and documents for the student to use. Collision and mechanical business owners, operators, and service management. Power Point presentation, video, full-color workbook. 8 hours. Can be customized to fit particular time slots.